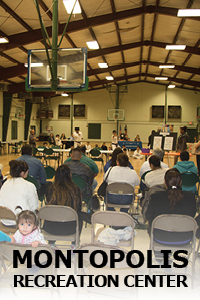 The Montopolis Recreation + Community Center will jointly replace two aging facilities and be co-operated by the Austin Parks and Recreation Department and Austin Public Health Department. This building will be rebuilt to provide over 33,000 square feet of new space, including a commercial kitchen, gymnasium, fitness room, computer lab, conference rooms and educational programming areas. The building’s design seeks to support the initiatives of each partnering department by fostering mental and physical well-being through community recreation and the pursuit of healthy lifestyles. Construction for the Montopolis Recreation and Community Center began Sept. 5, 2018 and will continue until the summer of 2020. To receive monthly construction updates on the project, please email David Smythe-Macaulay, Project Manager. The City of Austin in partnership with design consultant McKinney York Architects, hosted a Community and Project Team Meet and Greet to launch the design phase of the Montopolis Recreation and Community Center Project. The evening was an opportunity for the community to get to know the consultant team, gain an understanding of the project timeline, and share their input on the facility’s early design stage. The Meet and Greet will be a family friendly gathering, and all are encouraged to attend. The Austin Parks and Recreation Department and the Austin/Travis County Health and Human Services Department, together in partnership with design consultant McKinney York Architects, hosted two Community Visioning Workshops for the new Montopolis Recreation and Community Center Project. The two events were an opportunity for residents to collaborate with neighbors on the planning of access to the new facility, how it connects to the community, and how the building and its amenities fit on the site. The events were family-friendly and all were welcome to attend. MARCH 1 - 14: Floor plan drafts were on display at four Montopolis neighborhood locations. The current Montopolis Recreation Center was originally owned by Dolores Catholic Church. In 1971, the City of Austin entered into an agreement to operate the building as an extension of PARD services. In 1973, PARD purchased the building and the surrounding land. In 1974, a deed was executed by the City to dedicate 2.55 acres of land for community use. The Montopolis Recreation Center has served the community for over four decades. The existing facility is in poor condition and can no longer meet the needs of a growing and vibrant community. 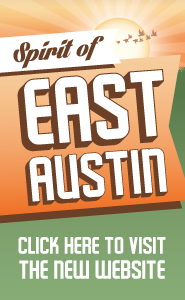 The Montopolis Recreation and Community Center Project was approved by Austin voters in the November 2012 bond election. This proposed facility is aligned with Imagine Austin priorities as well as policy recommendations from the Bond Election Advisory Task Force (BEATF) provided to City Council. The program for the new facility was developed with extensive public input from the Montopolis community beginning in 2014. Upon completion, the Montopolis Recreation and Community Center will be a jointly-operated facility between the Parks and Recreation Department and Austin Public Health.